Welcome to the Raka Weekly Roundup, where we cover the week’s news and trends and tell you exactly what you need to know. This week, Facebook launches Portal video chat and Google Plus meets its demise. Even amongst all of the security and ethical concerns Facebook has been dealing with lately, it’s business as usual for this social media giant. By business as usual I mean they’ve launched a new product this week called Facebook Portal. Essentially, Facebook Portal is a video camera built into a tablet that looks similar to an iPad with a larger speaker. It’s self-standing so you can turn it on and chat with friends and family, hands-free. Alexa voice activation is built in and can be activated by saying, “Hey, Portal.” The cool thing about the camera is that as you move about the room, the camera will follow you so you’re always in frame. A camera following you around sounds a little creepy, right? Especially given Facebook’s recent troubles. 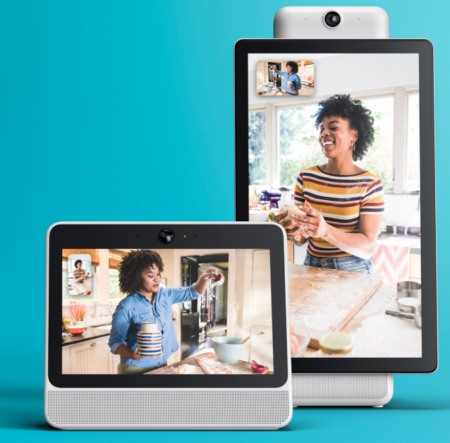 Regardless, Facebook is going full steam ahead with Portal and just launched pre-sales of the 10-inch version for $199, $20 cheaper than Amazon Echo Show. The 15.6-inch swiveling screen with hi-fi audio (Portal+) will sell for $349. Only $249 if you buy two of them. The Portal includes voice navigation, Facebook Messenger for video calls, Spotify and Pandora for Bluetooth and voice-activated music, augmented reality Story Time for kids, and a third-party app platform. To ensure your privacy, Facebook states on their website, “Facebook doesn’t listen to, view or keep the contents of your Portal video calls. Your conversations stay between you and the people you’re calling.” And they also say their Smart Camera doesn’t use facial recognition technology and uses AI technology running locally, not on a Facebook server, so you can be assured, what happens at home, stays at home (unless of course, you share it with somebody). This might be all well and good for some adventurous folks, but we think there might be a fair amount of pushback from those wary Facebook users who have had their data used and abused over the last few months. In the spring of 2018, Google discovered a security bug in its Google Plus platform. Didn’t hear about it? That’s because Google didn’t tell anybody. That’s their story, and they’re sticking to it, but according to a Wall Street Journal report, Google kept quiet because they feared regulatory scrutiny and damage to their reputation. They didn’t want to be put in the same light as Facebook was with the Cambridge Analytica scandal. Exactly how bad was the security bug? It allowed third-party developers to access Google Plus user profile data since 2015 and it wasn’t patched until Google found out about it in March. Essentially, when a user gave permission to an app to access their public profile data, the bug also let those developers pull their and their friends’ non-public profile fields. So now what? This fiasco could cost the company dearly in the form of a class-action lawsuit, but at the very least, their reputation has been indeed tarnished in the eyes of some. It’s also been a wake-up call as they have their security team scrambling to lock down user data across other Google platforms in a security initiative called Project Strobe. This breach and the fact that Google Plus has developed a very small following since its inception in 2011 has led Google to sunset Google Plus for consumers over the next ten months. Unfortunately, we don’t think many will mourn over this loss.